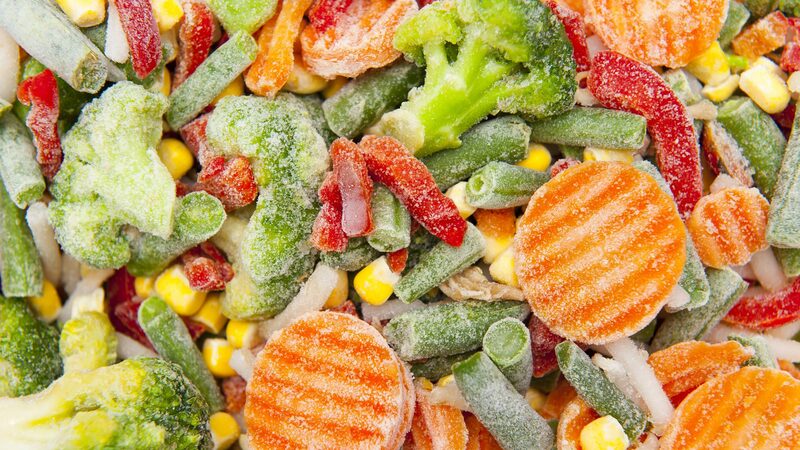 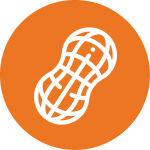 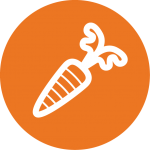 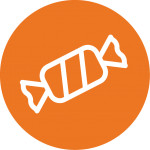 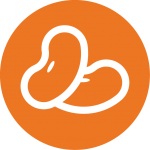 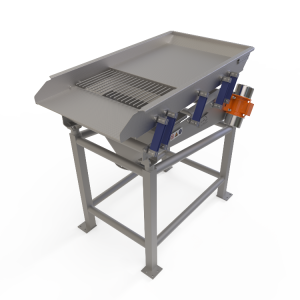 Vibratory technology is an effective method for conveyance of products within a food processing plant. 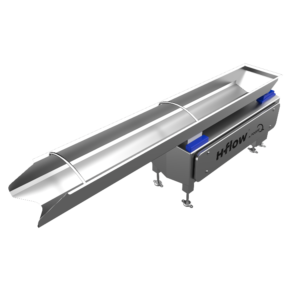 The vibratory conveyor is an extremely hygienic and efficient machine for conveying a wide range of food products. 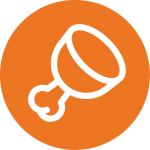 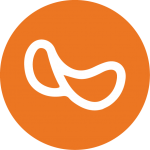 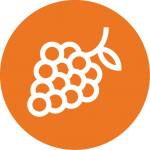 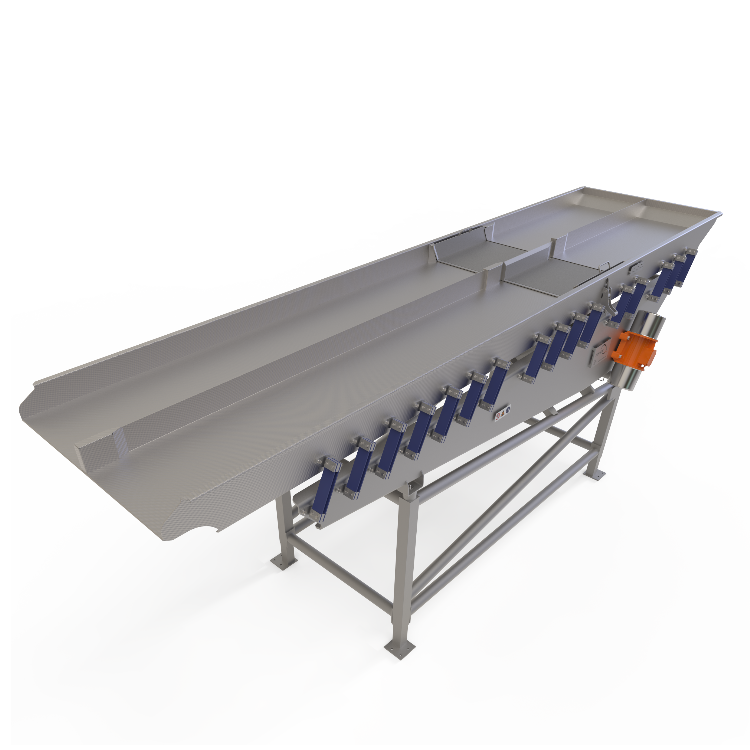 What’s more, with vibratory technology, the feed rate and speed of the moving product can be controlled manually or automatically. 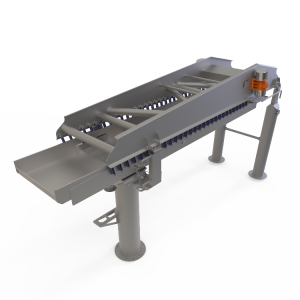 The design specifications, such as length (up to 7 metres), width and height, are determined by you, the customer. 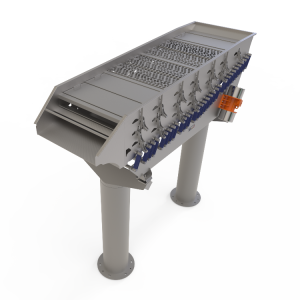 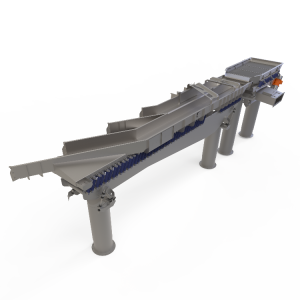 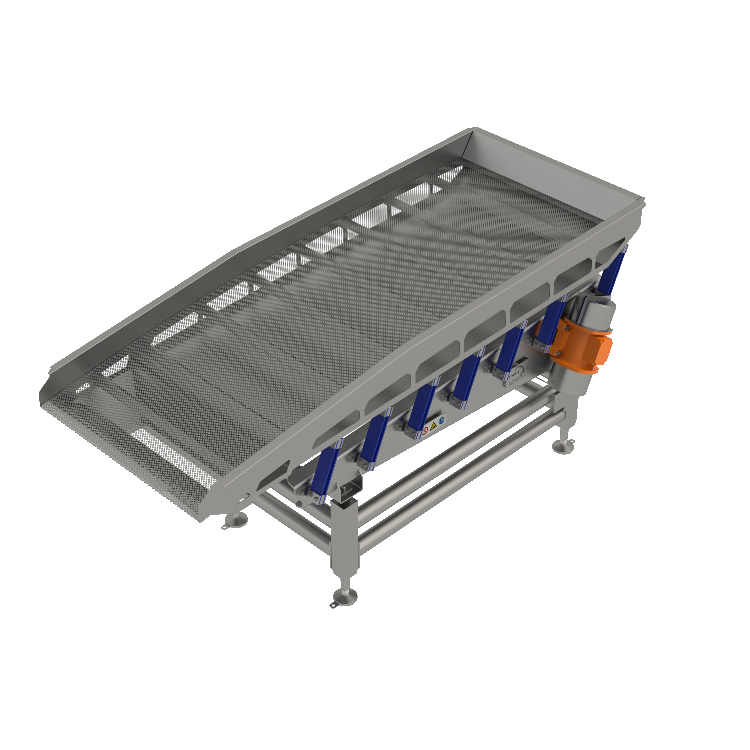 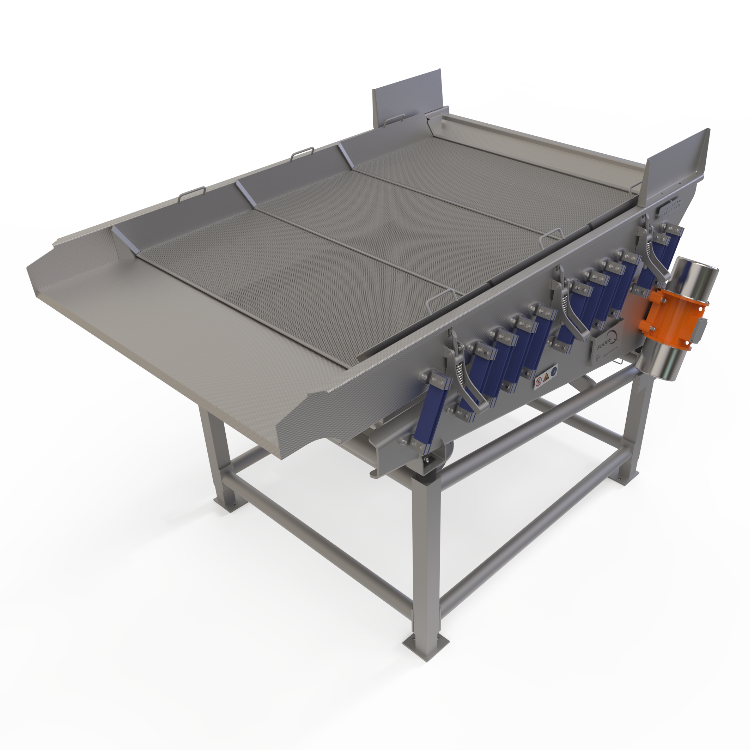 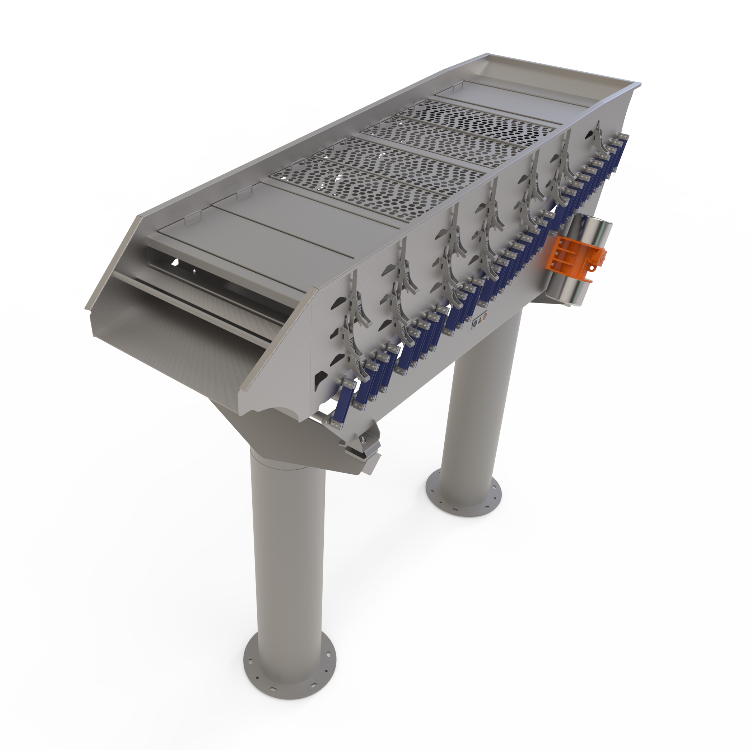 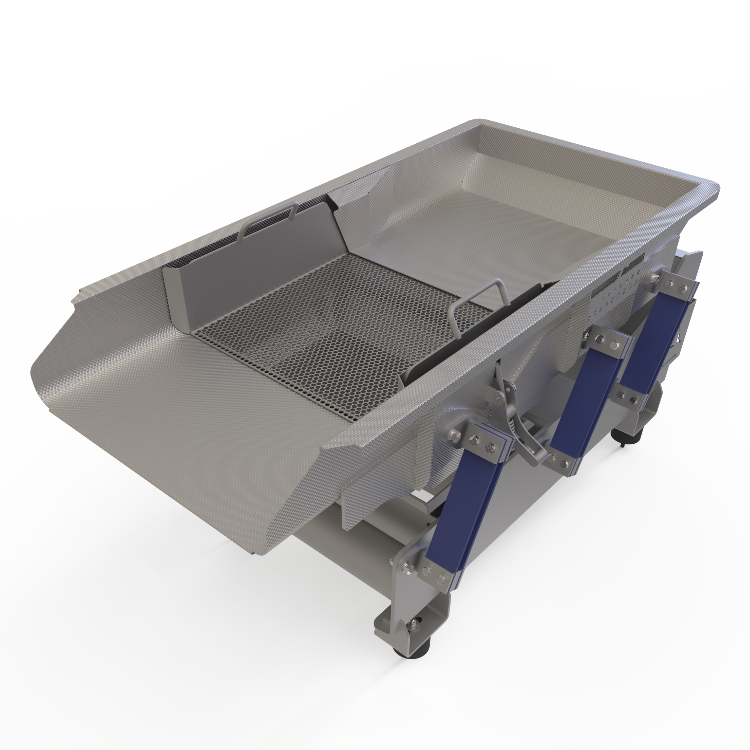 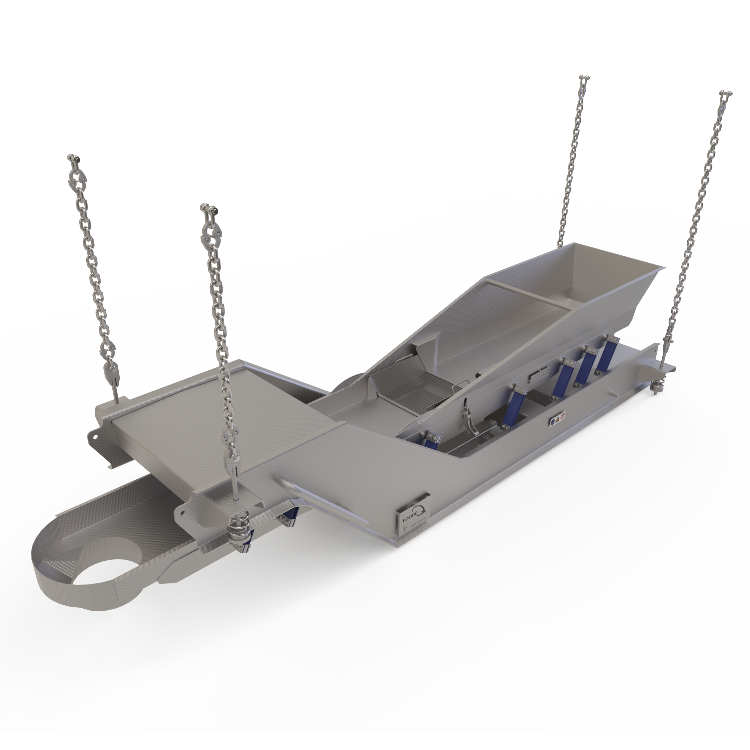 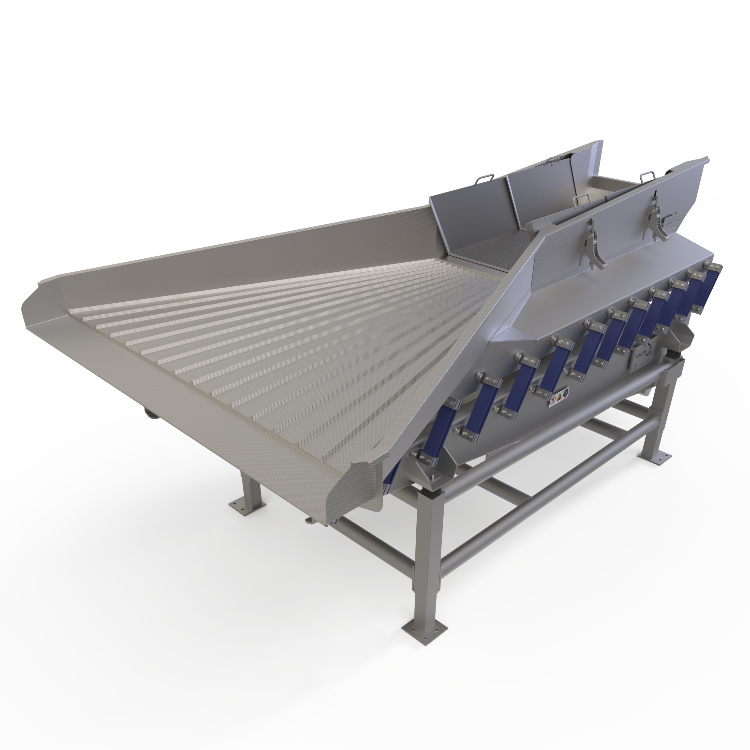 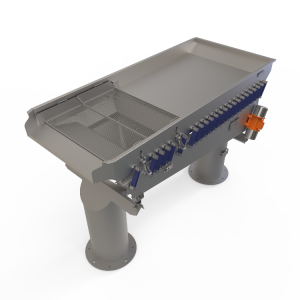 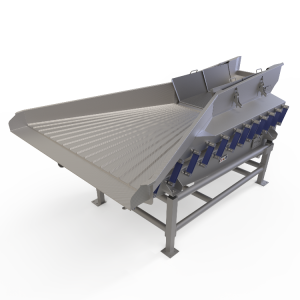 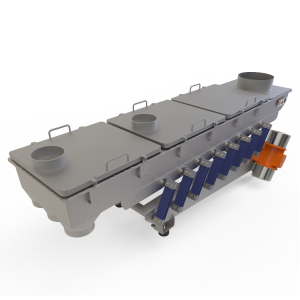 Our vibratory conveyors can be enhanced with such options as dewatering screens, sorting screens, a covered vibrating trough, distribution lanes, etc. 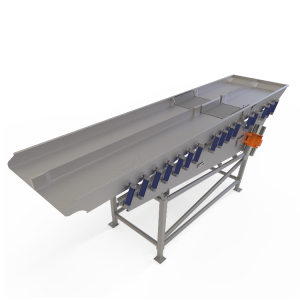 For more information, please contact our sales department, or see below some of the conveyors with vibratory technology developed by FoodeQ.